If you live in or own a property in Illinois and are facing foreclosure, please see below for the step-by-step process. When you develop a definite plan of action with well-timed, well-informed steps, you can stop the foreclosure process and save your home. We have outlined the foreclosure process for the state of Illinois. Judicial. Illinois does not allow power of sale non-judicial foreclosures. They are explicitly banned by statute. Instead, foreclosure is done by filing a lawsuit. The suit may seek either strict foreclosure or a foreclosure under the Illinois Mortgage Foreclosure law. The latter approach is much more common that strict foreclosure. A new procedure also exists to speed up the judicial foreclosure under the Illinois Mortgage Foreclosure Law called "consent foreclosure." The Illinois Mortgage Foreclosure law spells out in detail what must be included in the lender’s lawsuit (petition) for foreclosure. If the lender strictly observes the requirements for proper petition, then it is possible for the lender to win the lawsuit by motions without having to go to trial. A consent foreclosure will vest all the borrower’s rights and title and the lender free and clear of all claims (except liens of the U.S. Government) including rights of reinstatement and redemption of any junior lien holder who was properly joined and who failed to object. Upon objection, the court may hear such evidence as required and enter an order that title vests subject to the lien, or if the junior lien holder pays the balance on the mortgage plus any additional interest, within 20 days of the entry of a court order commanding the same, then the junior lien holder can redeem the property. The final judgment in a consent foreclosure must recite the lender’s waiver of right to any personal judgment for a deficiency and will bar a deficiency against not only the borrower, but any co-borrower or other person who is liable for the mortgage. Illinois has rather elaborate requirements about who must and who may be party to the lawsuit. A person who must be party to the lawsuit is a necessary part, a persona who may be party is permissible party., The borrower and any other person obligated on the note are necessary parties. Permissible parties include the owner of the loan note and any trustee. A few others such as tenants or other persona in possession, guarantors, the State of Illinois, the U.S. government, a mechanic’s lien claimant, an assignee, and any other mortgagee or person with any claim to title may be joined. Any person joined retains any lien or claim. A non-record claimant must come forward or lose out. Other complicated rules govern interventions, or entry of outside parties to the lawsuit. The nature of the instrument on which foreclosure is sought, whether it is a mortgage, a trust deed or another instrument. The date of the mortgage, the lender’s and borrower’s names, the date and place of recording and the book and page number or document number. 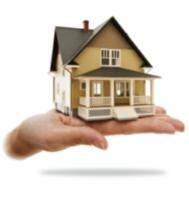 The ownership interest subject to the mortgage, such as fee simple, etc. The amount of the original indebtedness, including subsequent advances. A description of the default, including the balance due, the date of the default and any further information on the default. The names of the persons who are joined as defendants and whose interests are sought to be terminated. The names of any persons who are joined as defendants and whose interests are sought to be terminated. The names of any persons who are to be personally liable for a deficiency. Facts to support the appointment of a receiver, if desired by the lender. A statement that the lender will accept title in lieu of any other action against the borrower, if the lender so desires. The lender should conclude by asking for a judgment of foreclosure and sale, an order shortening the redemption period (if requested), a personal judgment of a deficiency (if requested), a personal judgment for a deficiency (if requested) and an order granting possession. If these allegations are made, as described above and supporting documents such as copies of the note and deed of trust are attached, then the lender’s complaint will be deemed to include the allegation necessary for a foreclosure. Special matters can be included in judgment, if requested in addition to the allegation previously described. These would include a request for a sale by sealed bid, a manner of sale other than a public auction, any fees to a broker or auctioneer, any signs to be placed on the property, the newspaper or newspapers in which the notice of sale shall be published, the formats of the ads, the requirements that title insurance be provided at the foreclosure sale and such other matters as the court approves to ensure the most favorable commercial price for the type of real estate involved. If requested and agreed to by the parties, the property can be sold to the first person who offers in writing to buy the real estate for such commercially reasonable terms as the parties may agree to, and the court shall then offer the sale in such a matter , subject to its subsequent confirmation after it is closed. The advantage of this procedure is that a broker could be employed to find a buyer at a decent price, which would be better than what the property would get at a sheriff’s auction. The court must confirm the sale. The name, address and telephone number of a person who can be contacted regarding the purchase of the real estate. The real estate must be described in terms of its common address (other than a legal description), its legal description, and its improvements. The times the property can be inspected prior to the foreclosure sale. The date, time and place of the foreclosure sale including the terms of the sale. The case title, case number and court in which the foreclosure lawsuit is filed. Any other information required by the court. The notice must be published in the usual newspaper for legal notices in that county once a week for three consecutive calendar weeks, the first such notice must be 45 days prior to the sale and the last notice not less than seven days prior to the sale. If the sale is to be adjourned more than 60 days, then notice must be republished, if less than 60 days, the person conducting the sale can announce the date, time and place for the adjourned sale. After the sale, the borrower gets a receipt that the property has been sold. Once the sale price is paid, certificate of sale shall be issued to the buyer. A duplicate of the certificate must be recorded. Upon confirmation of the sale by the court, a deed may be given to the buyer at the foreclosure sale. The confirmation hearing can also provide for a deficiency. The right to redemption may be waived by the borrower in the mortgage instrument, or after the commencement of foreclosure by written consent filed with the clerk of the court, but only if the lender thereupon waives the right to a deficiency. However, waivers signed prior to July 1, 1987, may still be valid. Otherwise, the borrower has the right to redeem the property within seven months from the date the lawsuit to foreclose was filed, or three months after the date the judgment was entered by the court. Other creditors have six months to redeem. The redemption period may be extended by the court. If a bankruptcy court stays (delays) the redemption, then under Illinois law, the redemption runs to 30 days after the stay expires, or the normal period minus the period of the stay whichever is longer. In any case, whether bankruptcy is involved or not, a notice of the intent to redeem must be filed with the court 5 days before the redemption rights are exercised. The amount to redeem the property shall be that specified by the court in its judgment ordering foreclosure. The redemption amount shall be paid to the court clerk. If there is no objection, the clerk will give a receipt for the redemption amount, and the lender must then furnish the borrower with a release of the mortgage or satisfaction of the judgment. If there is an objection, the court will promptly hold hearing and rule on the objection. A special right to redeem exists if the lender attempts to sell the property at foreclosure for less than the court-specified amount. The borrower can then redeem at the price for which the lender tried to sell the property. The borrower has the right to reinstate the loan within the first 90 days after being served with the lawsuit. One of the most frightening features of the Illinois foreclosure law is that the lender can obtain physical possession of the premises during the foreclosure lawsuit and prior to entry of a final judgment. In fact, at an early stage in the lawsuit, upon request of the lender and for good cause show such as damaging the property or abandonment, the court can put the lender in possession of the property and evict the borrower. The court must be satisfied there is a reasonable probability that the lender will prevail upon a final hearing of the case. However, an existing tenant cannot be evicted, but the lender can collect the rents. A receiver may be appointed to take charge of the property and the rents. Foreclosure buyers can obtain possession within 30 days. Otherwise, a lender can obtain possession from the borrower 30 days after the confirmation of sale.